I had just finished typing a great answer, and It wouldn't let me post? It was deleted by the author of the question - likely when they realized it wasn't going to garner a positive response in its current form. 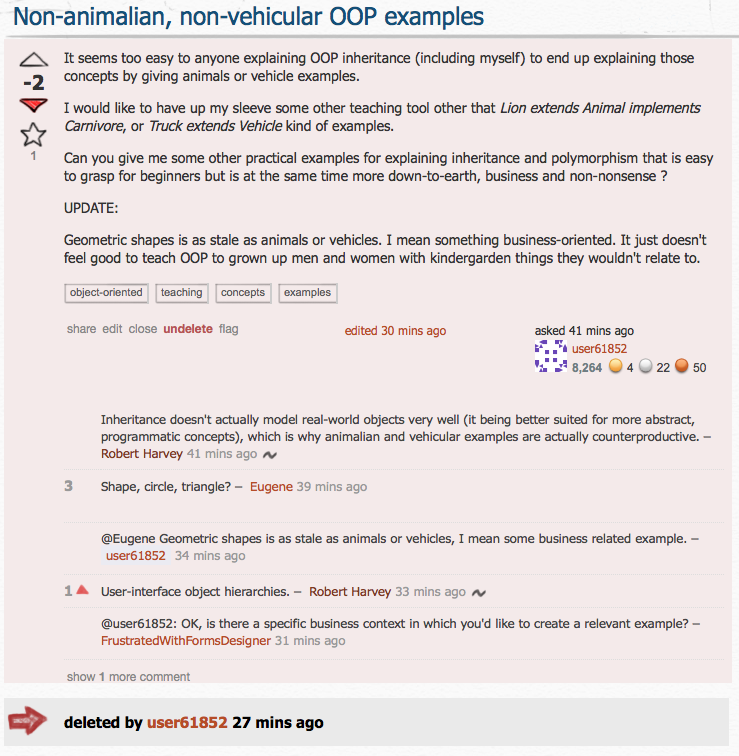 At the time of deletion, it had a suggested duplicate question in the comments. The owner of the question chose to delete it. Is there a reason why my rep gains for a certain day would have been removed? Are new users allowed to advise without mini-modding? 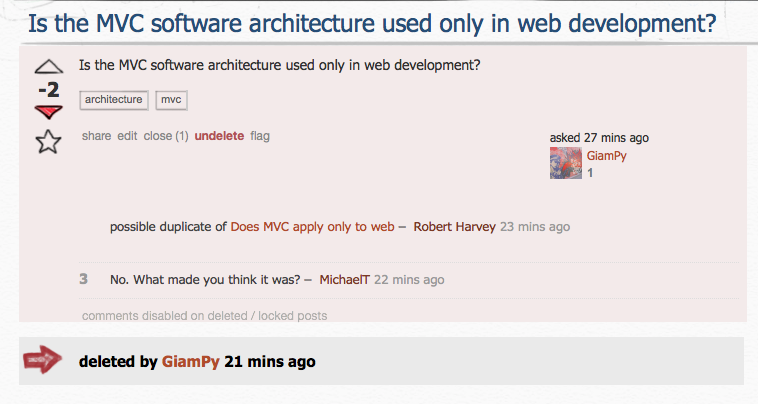 When is “collaboratively edited”, hijacking someone's question? Isn't there any other way to get Reputation?